The Winter is the best season to get in love with Transylvania! Here is the best weekend break from Transylvania in the winter of 2017. At the border of Transylvania, in the Carpathian Mountains, Vatra Dornei winter festivals are waiting you! For just 350 per person you will have an All Inclusive Winter Holiday package in a special route with limousine. Get 5 or 6 friends and discover the wild winter Carpathia! 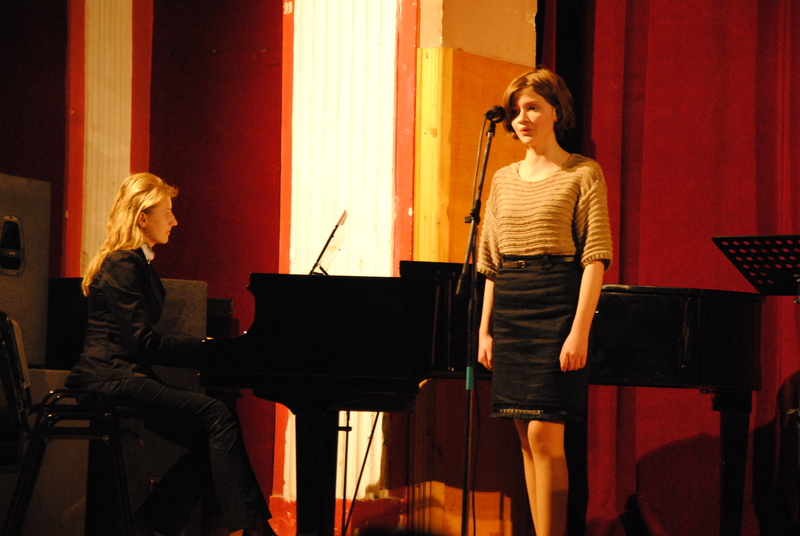 - visit Cluj with Limousine and special dinner. Hotel Lucy Star. 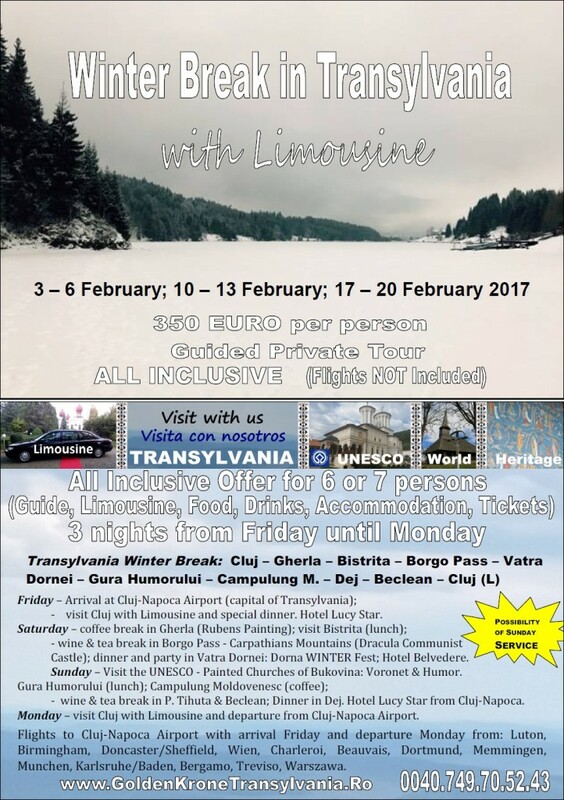 - wine & tea break in Borgo Pass – Carpathians Mountains (Dracula Communist Castle); dinner and party in Vatra Dornei: Dorna WINTER Fest; Hotel Belvedere. - wine & tea break in P. Tihuta & Beclean; Dinner in Dej. Hotel Lucy Star from Cluj-Napoca. Monday – visit Cluj with Limousine and departure from Cluj-Napoca Airport. Flights to Cluj-Napoca Airport with arrival Friday and departure Monday from: Luton, Birmingham, Doncaster/Sheffield, Wien, Charleroi, Beauvais, Dortmund, Memmingen, Munchen, Karlsruhe/Baden, Bergamo, Treviso, Warszawa.